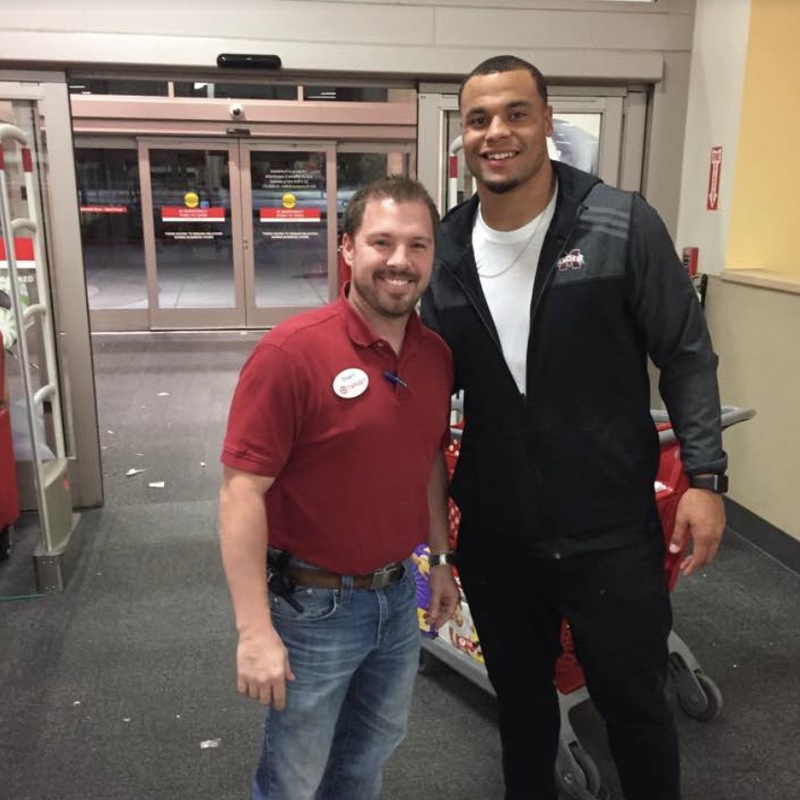 When Target employee Stuart Newton saw Dallas Cowboys quarterback Dak Prescott shopping inside of his store on Sunday night, he approached to ask if the NFL star needed any help. And upon chatting with Prescott, Newton learned that the famed football player was specifically looking for charity Christmas gifts for kids in need; the NFL star explained that he’s taking part in The Salvation Army/NBC 5 Angel Tree program — a holiday effort to secure gifts for 50,000 kids and adults with special needs. Now, Prescott is getting some praise for his good deeds. Prescott said in a recent interview that he was “humbled” after seeing the list of items the kids are requesting this Christmas, and expressed gratitude for being able to join in and help. The Angel Tree program is a relatively simple concept, but one that has a big impact for families in financial need. Here’s how it works: trees that contain tags with kids’ names as well as their clothing size and wish items are on display at 11 local malls, allowing for people to go and essentially “adopt” a kid and a family. Then, after the gifts are collected, they’re distributed to the appropriate individuals and families.